So much of what we do now is online because it’s convenient and often more affordable, so why should preparing for your baby be any different? Created by a midwife and mother, Birth Beat offers new online antenatal classes that parents and doctors are raving about. Tamworth midwife and mum-of-two, Edwina Sharrock, was 36 weeks pregnant when her local private hospital closed and along with it, the birthing classes she and her husband had planned to attend. Frustrated by the lack of choice being offered to people in her area, she decided to do something about it and created her own antenatal classes, calling the program, Birth Beat. “I started researching what was available, particularly in regional areas, and discovered that frighteningly, there is no regulation around courses. I really believe that all birthing classes should be taught by someone who has actually been in the birthing suite,” Edwina explains. It wasn’t until couples who had travelled from many hours away started attending her classes though that she realised just how many people were looking for a better way to prepare for birth. Her solution? It was time to take her classes online. According to Edwina, 41 percent of maternity beds have closed in Australia over the last 15 years, forcing a lot of women to travel big distances to have their babies. “I know I can’t give people more rooms in hospital, but I realised I can help them be more prepared for birth without adding another trip to their agenda,” she says. Not having antenatal classes available in your area is not the only reason why women are flocking to Birth Beat. Many expectant couples don’t attend traditional antenatal classes due to other factors such as the expense, being time-poor, or not feeling comfortable among strangers. The main focus of Edwina’s classes was to make them accessible to everyone AND realistic. “The biggest thing about Birth Beat is that I don’t tell you what to do. When you’re pregnant it’s pretty overwhelming … all the advice you get. But I’m not going to tell you what your birth is going to look like. What I can do is give you a full set of tools and tricks so you can go away and make informed, empowered choices about your birth,” says Edwina. She’s also very supportive of all mothers and how their babies enter the world. “We say healthy mum, healthy baby. I absolutely abhor talk about the right type of birth and people that say you don’t have a real birth unless you have a vaginal birth,” she adds. 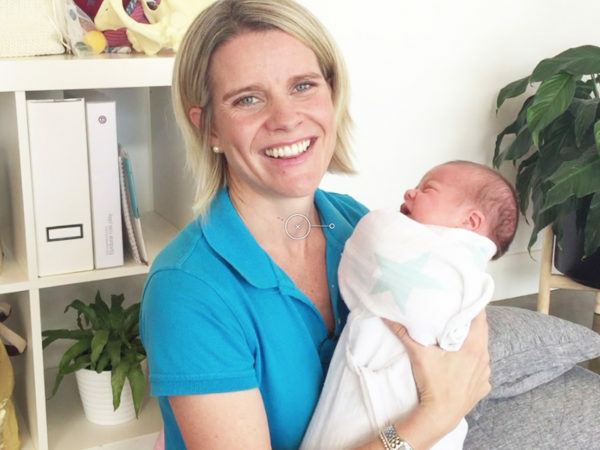 Some of Edwina’s clients have gone on to have emergency caesareans, but because of her classes she says they knew what was happening to them and why, and so it took the fear away. Reducing confusion and panic is also another aim for Birth Beat, not just in new mums, but their partners too. “Most partners, particularly men, don’t understand what’s needed from them. We give them the knowledge they need and explain why fetching water, heat packs or whatever she wants and watching the language they use is important. It helps them be more relaxed which in turns makes the mum more calm and happy which is helpful in labour,” she says. Attending a traditional antenatal class can also be quite confronting for a lot of men, and so being able to access quality info online from home or wherever they are, without having to make notes, makes it far more appealing. To find out more about Birth Beat’s online antenatal classes head to their website.